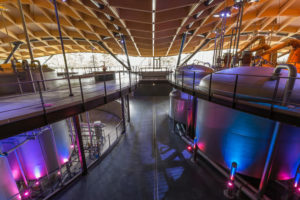 IFT was contracted by the projects Principal Contractor, Robertson Construction, to provide screed and resin works at the new £140million Macallan Distillery and Visitor Centre that opened in June 2018. 6,500 sqm of 6-9mm heavy duty, polyurethane resin floor screed was installed, as well as 3,000m of soft joints. The benefits of this material include it's very high chemical resistance, it's easy to clean and sterile anti-slip surface, it is heat resistant to 120°C, it is resistant to steam cleaning and constant hot water, and also it's positive slip resistance. There were however challenges to this application, such as working in and around the existing pipework. 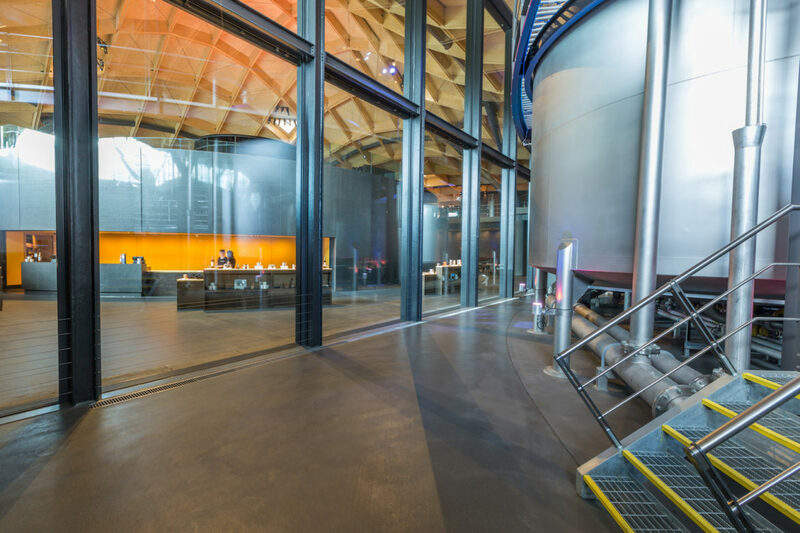 3,700 sqm of 75mm Isocrete HD K Screed fibre reinforced screed followed by 10mm Isocrete Industrial Top was installed to the Visitor Centre, as well as 4,800 sqm of 4mm decorative quartz methacrylate resin flooring system. This is a hard wearing, decorative resin floor topping developed to enable very fast track applications (typically 2 hours curing time to receive full traffic). This application also involved the installation of Gradus aluminium edge trim 483m and Inserts to 82 number separate floor boxes. The benefits of the material include it's decorative floor finish, rapid installation, high scratch resistance, enhanced resistance to UV light, and excellent wear and impact resistance. 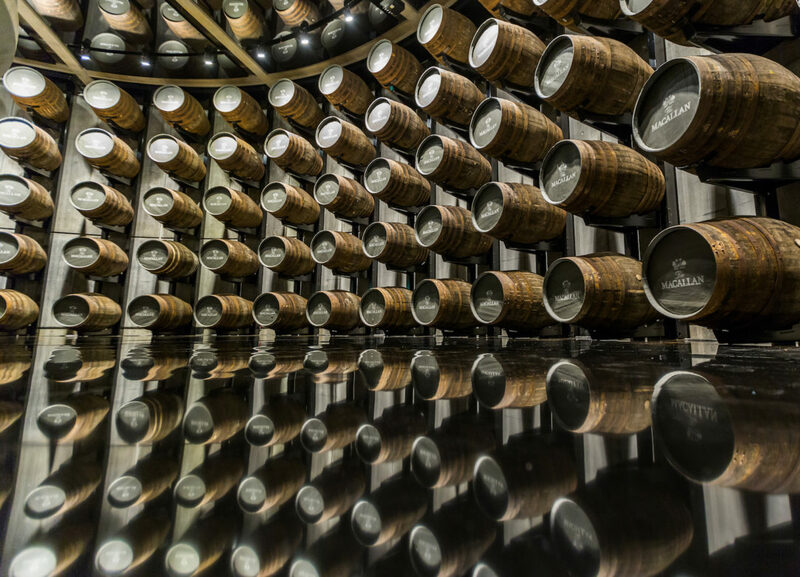 300 sqm of SL resin was installed to the cave, incorporating soft joints. This was a hygienic self smoothing resin floor finish. 745 sqm of 4mm Naturewalk Resin Bonded Gravel polyurethane resin system was installed outside of the building. 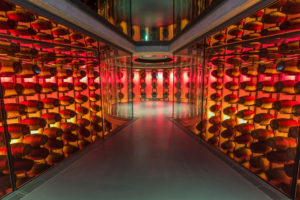 The new distillery and visitor experience is located on the stunning Easter Elchies estate on Speyside, which has been home to the leading luxury single malt since 1824. 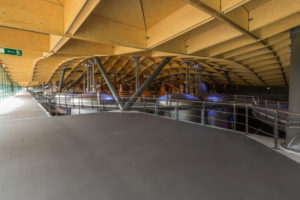 The whisky distillery was designed by internationally acclaimed architect, Rogers Stirk Harbour & Partners, and during construction up to 400 people specialising in more than 20 different trades were employed on site throughout the three year construction period. 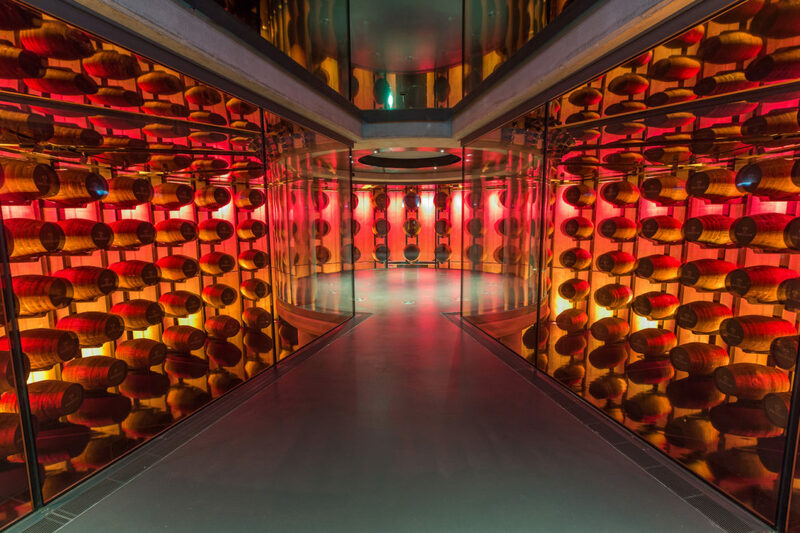 IFT is proud to have worked with Robertson in helping deliver this awe-inspiring project. 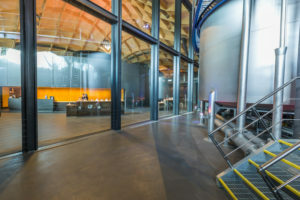 I would like to complement IFT on their screeding and resin flooring expertise which has helped Robertsons to deliver on this flagship distillery and visitor experience for Macallan. The scale of the building, coupled with the intricacy of detailing, made this a challenging project. However, the experience of IFT’s management and site team was evident throughout and crucial to a successful handover. I would have no hesitation in using IFT in any of my future projects.